Services — TJS Construction Co. In Addition to remodels we also have many other Services. We tackle many other areas then you may think. From Plumbing to Painting. WE CAN DO IT ALL. Emergency plumbing leaks, cracks in your concrete all the way to HVAC. Do Not hesitate to give us a call about your projects we will work with you. We value our Honesty, Integrity and Craftsmanship. We specialize in Dry Wall repair and finishing. 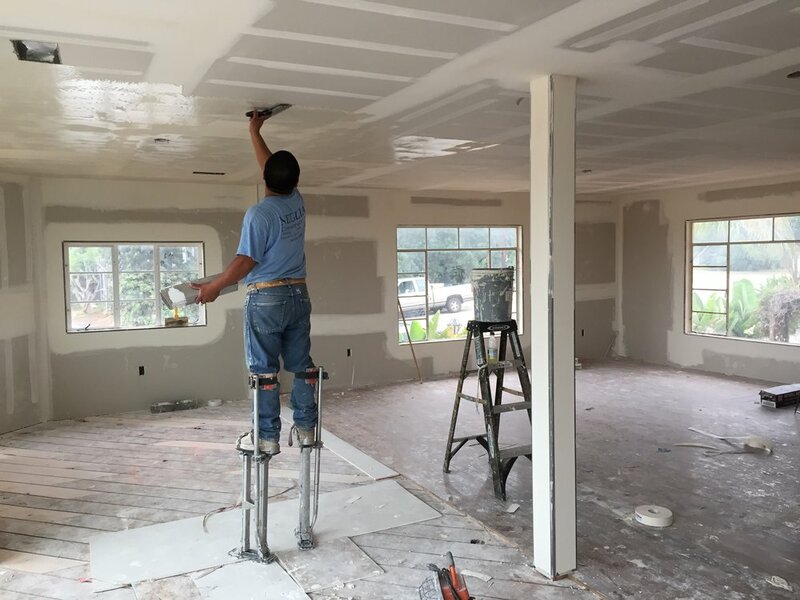 We have the best drywall team in San Diego. Trex is becoming one if not the most popular material in the industry. While we have done many Trex decks we also offer a wide variety of Wood decks also. We use all pressure treated lumber as the base and finish it off with any material you desire. Tired of that old out dated bathroom from the 50s? Let us help! Get the bathroom you always dreamed about at an affordable price. We use only the best granite and tile that San Diego has to offer. We also can take you to the showroom and help you get a better visual.